Whether it's a wedding, family reunion, graduation, anniversary, intimate dinner, seminar, fundraiser or corporate event, we are available 365 days a year. With over 20 years in the industry, we guarantee that you are provided the highest level of service. Our staff is fully licensed, knowledgeable and courteous. Do you need a photographer or DJ? Venue? Food catering? 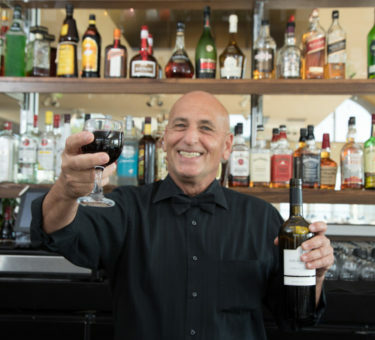 Let Professional Beverage Service recommend one of our experienced and responsible vendors. 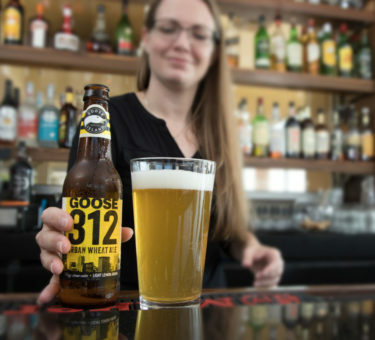 Our prices for beer, wine and spirits are as good as they get. We get what you want and work within your budget. Service starts at $6.95 per guest! are knowledgeable and friendly. From black tie events to a casual get togethers, Professional Beverage Service can accommodate ALL of your event needs. We can bring all the necessary equipment and supplies, not just the service. No matter the size or venue, we can build a unique beverage package to fit your needs. We offer more services for less money than any of our competitors. We’ve worked with Jim and Pro Bev Service for 3 consecutive years to serve beverages at our corporate picnic. Jim and his staff are very professional, friendly, and easy to work with. I do not need to worry about anything as long as Pro Bev is there. I definitely recommend them, and have already requested them for our event next year. Jim and his team made my husband’s 50th birthday party go so smoothly! He helped me choose the best items to pick up for the party which I was able to do pretty easily through a local company who delivered for us. The set up and support from him and his team allowed our guests to have a great time, and we cannot thank him enough for making this event one to remember! We would use ProBev Service again, for sure! I cannot thank Jim and his team enough for the service they provided for our wedding this past Saturday. From helping me while planning, giving me step by step to alleviate the stress and craziness, officiating our wedding and making sure our guests thirst was quenched throughout. I would recommend probev to every single person! All my guests LOVED Jim. What an experience!!! Thank you for everything. Great Job! We had to plan our event rather quickly and Jim did an amazing job in meeting the demand of our event. We used Professional beverage service for a business Open House. Jim was very professional in the overall planning of the event as well as very personable the evening of the event. This was our first time needing such a service and Jim did a great job in educating us on the overall needs for the night (Wine, beer selection) so it would go off seamlessly. Jim met all of our requests. Overall a great experience and would Highly recommend! We used for our wedding and they were beyond amazing, Jim is super down to earth and tries to save you money. Guests raved about the bartenders and staff as well. Couldn’t have been happier with their service, highly recommend!! Jim was great…We had a small event, but everyone had a good time and he was very helpful. I definitely recommend Professional Beverage Service. We used Jim for our minister for our wedding ceremony on 08/26/17. I would recommend him to anyone! He had everyone laughing AND crying! Our guests are still talking about how beautiful and unique our ceremony was. Thank you Jim for going above and beyond and making our day so special! We just recently used Professional Beverage Service for my daughter’s wedding. We could not be happier! Jim committed to staying within our budget and worked with us to create a great experience. 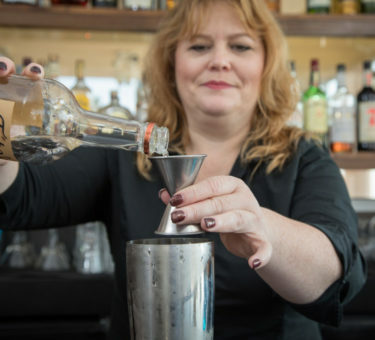 He was able to accommodate a last minute request for an additional bartender (which he had suggested early on, but we didn’t know how that would work within our budget until fairly close to the date). He and his staff were very professional and personable. I would definitely use them again. im and his staff are wonderful. They are very knowledgeable, responsive and great to work with. I have used Professional Beverage Service for a company picnic and have received very quick responses and wonderful service. I would highly recommend this company. Jim and his team are awesome! This is the 3rd year they have served at our company picnic and we’ve had nothing but great staff serving up professionalism and friendliness. Not only is everyone helpful during the event, but they make set up and take down a breeze as well. I recommend Pro Beverage to anyone planning an event!! Jim, you struck me with your professionalism with your very first email, and I’m still a huge fan. It’s not often that you come across providers that offer that feeling of security like you do. I wanted to let you know that everything was beautiful for my daughter’s wedding. Thank you so much for everything, we are so pleased with all your effort and everything you did to make the wedding such a success! I will highly recommend your services! It’s hard to put into words exactly how amazing Jim is, but I will try…Saying that Jim is extremely responsive is an understatement, he isn’t just responsive, he is proactive. He was constantly in touch with us throughout the months before, not only gathering the stories and information he needed to create our ceremony, but also just checking in to see how things are going with planning and if there is anything we needed help with. Then the wedding weekend came….and having Jim there was a blessing in so many ways. The coordinator at the venue said that we didn’t need to rehearse on location, that we should just practice outside at the rehearsal dinner. When I told Jim that there was no formal rehearsal, he took charge and rallied the troops (and with a bridal party of 20 there were a lot of troops to rally), got us all over to the ceremony location, and put together his own formal rehearsal because he wanted everyone to feel as comfortable and prepared as possible. We were all set to get married outside, but having checked the weather forecast for the next day we all knew there was a possibility of rain. Jim wanted to be prepared for anything, so he went and checked out the room the venue had reserved for the ceremony in case of rain. He came back to us and said there is no way that we are getting married in that room, and instead came up with the amazing idea of getting married right on the dancefloor of the ballroom…it was already beautifully decorated, and the guests could sit at their tables. Instantly, I was no longer worried about the rain because I knew we would still have a beautiful ceremony, and we wouldn’t be shoved into some conference room down the hall. It did end up raining, but the indoor ceremony went off without a hitch because of Jim. Now to get to the ceremony itself….the words were not just words, he put them together in the most beautiful way and every single one held so much meaning. I honestly don’t know if there was a dry eye in the room…I never expected Rob to cry on our wedding day, but there he was in front of me tears flowing. Jim incorporated every part of us into the ceremony, both the good and the bad, all the way from when we were born up until that very moment we were in. The ceremony was so meaningful to us that we have a copy of the entire thing printed, framed, and hanging in our home. We received so many compliments, and I am pretty sure every person in that room who is even thinking of getting married someday has Jim’s name memorized for when that time comes. We cannot thank him enough for making our wedding day one of the best days of our lives! I knew I wanted Jim to be our officiant from the day I saw him marry a friend of mine in the Dominican. He personalizes the ceremony in a way you and your guests will always remember. Not only did he travel all the way to Mexico with my friends and family to perform the ceremony, he really incorporated what our friends/family had to say about us into the ceremony. I could not be happier the way the ceremony turned out and would definitely recommend Jim to anyone! Jim took the time to get to know us and make our day even more special than I ever thought it could be! ecided at the last minute to hire a bartender and server for my outdoor wedding reception. It was a small(ish) outdoor reception in my backyard for about 60 guests. We had already eloped but wanted to celebrate with family and friends. I called Jim, half expecting him to tell me I was out of luck, but he did quite the opposite and sprung into action. He was able to find me two AMAZING individuals (Tammy and Fernando) to work my party. Jim explained all my options very carefully and I selected the option where I provide the liquor and he provides the staff and bar setup. Jim gave me a shopping list of how much liquor I needed to buy which was great because I would have totally screwed that up! The day of our reception came, and his staff arrived right on time. They were warm and friendly and jumped right in to start setting up the bar. It looked incredible! Unfortunately, about 5 minutes before the guests arrived, the sky opened up and dumped a flood on my beautifully decorated party space. I was devastated, but Tammy and Fernando didn’t skip a beat! They grabbed everything they could save and quickly moved the bar indoors. My outdoor dream reception may have been ruined by the weather, but thanks to the staff from Professional Beverage Service, we still had an amazing and memorable party indoors! I can’t thank you enough for going above and beyond for me in every way. Thank you!!! Jim was more than helpful from start to finish and so easy to work with! Thank you so much! Jim was awesome to work with and so accommodating through the planning process to check-in and make sure we were comfortable and ready for our big day! He saw the big picture and worked with our other vendors to put all of the pieces together. His bartenders were great on our big day and gave our guests a great experience! Thank you! Tom and I want to thank you so much for everything you did for our wedding throughout the planning process and then coordinating your staff for our wedding day. They did a wonderful job and our guests were so happy. The signature drink was such a huge hit so thank you for suggesting that!! Working with all of our vendors was such a great process of our wedding planning and we were so thankful that you all worked so well together to begin with. Thank you for an amazing experience with your company and thank you to your staff for a great day! We originally booked Professional Beverage Service for bartending services at our wedding at the Byron Colby Barn. They came highly recommended by our caterer and the venue. After meeting with Jim, the owner, and talking with him about our wedding and bar needs, we felt very confident in his knowledge and skills. We were also looking for an officiant at this time and Jim informed us that he also officiates weddings. We decided to go ahead and book Professional Beverage Service as our bartenders and Jim as our officiant and we couldn’t be happier. Jim was very responsive to my e-mails and was able to answer all of our questions. He did an amazing job as our officiant, making our ceremony personal and unique. He then was awesome as our bartender and I heard nothing but compliments from our guests. I would highly recommend Professional Beverage Service based on our wonderful experience. Jim was fantastic to work with, start to finish! We were looking for an officiant to do a non-traditional ceremony for us and Jim was recommended by our venue, Cypress Resort & Marine in Antioch, IL. It was great meeting with Jim in a casual environment, and from the beginning I knew he was the guy because we spent 2 hours just talking. I could tell he was truly trying to get to know us, and that he was genuinely interested in providing us with exactly what we wanted. The fact that he asks for “stories” of the bride and groom from them and family/friends I think was a nice touch for personalization. We had no idea what Jim was going to say at the ceremony, and we didn’t want to know. I was seriously excited for what we were about to hear. He is great with words and honestly exceeded our expectations by far. The ceremony was personal, funny, sweet, and sincere. We received so many compliments from friends and family with the common theme that it was the best and most touching wedding ceremony they had ever attended, I couldn’t agree more. Jim made our day as special as it could possibly be and really tailored the ceremony for us and around us. Did I mention above and beyond for us? 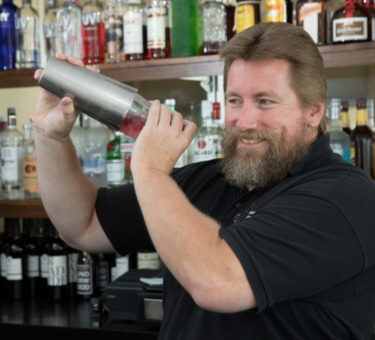 We were running low on mixers at the bar, Jim was our officiant….he ran to go get us more mixers, covered the cost up front out of his own pocket…..we had another vendor for our bar and Jim still went out of his way to help. Truly a class act. Just a quick note to thank you again for the wonderful job you did for Sarah and Josh’s nuptial service. I loved the personal touch you put into it and I especially loved the part about tying the knot! Jim was always very responsive to any requests prior to the event and the night of the event went as planned. Excellent service throughout. Thank you so much for the wonderful evening. It was the most perfect night we could have ever imagined and you played a huge role in making it so incredible. You were truly wonderful to work with. I especially appreciated your honesty throughout the planning process (even though you sometimes told me things I didn’t want to hear). Ultimately, your expertise helped us to create an amazing outdoor wedding that went very smoothly — despite the fact that it was pouring rain! I would recommend your services to anyone and everyone. I’m grateful that you are considering Professional Beverage Service to accommodate your event. 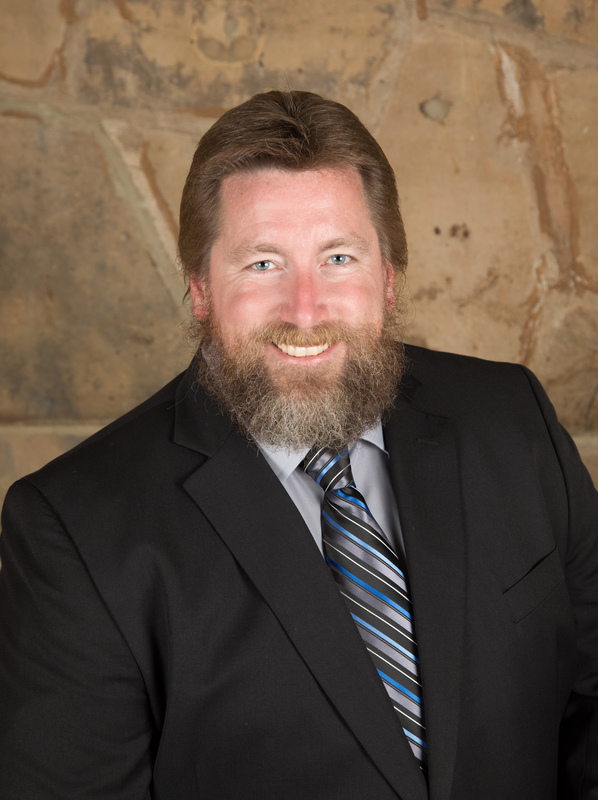 My name is Jim McArdle and I have been involved in the industry for over 20 years. I am licensed and certified in Illinois and Wisconsin to provide these services to you. I will be happy to work with you on all levels of your event’s needs. I can assure you that the rates are lower than any others in this area and the service is far above what you may expect. Professional Beverage Service can accommodate your requests! 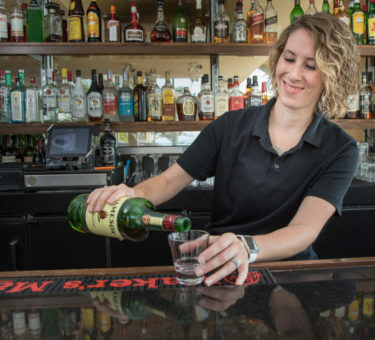 We offer beverage services, catering, music/dj, and transportation for weddings, birthdays, retirement parties, elegant gatherings, corporate events and more, serving the areas of Northeast Illinois and Southeast Wisconsin. Call to find out how Professional Beverage Service can accommodate your requests! © 2018 Professional Beverage Service. All Rights Reserved.